Apple’s recent legal victory over Samsung has prompted an outpouring of worried speculation about the future of technology and design that’s almost unprecedented. Some of the concerns being raised are valid. The price of Android phones probably will rise in the short term. Pinching and tapping to zoom, which are so universal we can barely imagine another way of navigating mobile screens, might become Apple-only gestures. But the gravest concern we’ve heard, that the ruling creates a legal climate that will stifle innovation, is unfounded. Bloggers and reporters are pushing this idea from a business- or technology-oriented mindset. These are linear, efficiency-based fields, where the winners win by getting to the best solution faster and at a lower cost than the losers. It’s a model that works when you’re competing to provide a safer car, a faster computer, or a cheaper airline ticket, but it’s of little use when the goal is a better user experience. Samsung—and just about every other consumer electronics company—copied Apple because people love using their products, which is different from simply loving their products. The act of performing a task with an iPhone is fulfilling, delightful, and trustworthy, and Samsung gets this. But the mistake they made, and most of the doom-saying analysts are making, is believing Apple has found the magical combination of features that alone can create such an experience. It hasn’t. Take pinch-to-zoom for example, one of the six patents the jury found Samsung was infringing, and a gesture so ubiquitous that one expert recently suggested devices using a different navigation mode would be like “cars with square or triangular steering wheels.” The analogy reveals more than the expert intended. Circular steering wheels are standard on cars because steering requires rotating something in a circular path. It’s the most effective geometry, not because of human perception, but the unchanging reality of rotational motion. By contrast, there are plenty of ways to zoom into a map or a web page, and we’ve gotten comfortable with many of them: we roll scroll wheels, click on plus symbols, slide sliders, drag zoom windows, and so on. It’s a credit to Apple’s designers that they convinced so many of us that pinching was the one true solution. The way they did that is the real trick Samsung should be trying to copy. What Apple offers is an Apple experience. Zooming is performed the same way on iPads, iPhones, and iPod Touches, and that’s just the beginning. Simply (and remarkably), every moment a user spends with an Apple product or service feels like Apple, and this is a direct result of its fervent commitment to a seamless experience. Typefaces, color palettes, terminology, kinetic and workflow details, and physical form factors stay consistent across every device and every touchpoint, from buying a song on iTunes to chatting with a Genius at the Apple Store. A single interaction with the Apple brand tells you that your needs have been considered; repeated interactions tell you that they always will be. This does more than just encourage brand loyalty. It creates love. There is no equivalent Samsung experience. The mobile devices that have been most affected by the jury’s decision are a combination of the Android operating system, physical product design that’s reacting to current market trends, and a hodgepodge of third-party apps and software. The combination works pretty well, and it costs less than the iPhone, so it’s earned Samsung some excellent sales numbers. It hasn’t earned them love, though, and until there is a recognizable, authentic Samsung experience, it never will. Crafting a consistent, compelling experience is extremely difficult. It takes nothing less than company-wide commitment to a purpose and a vision of what the world ought to be like: how it should look, feel, sound, and evolve over time. For Samsung to do this, it would have to abandon the idea that there is some magical combination of rounded corners and screen transitions that will turn users into lifelong fans. Instead, it would have to look into its own values and mindset, and decide what its version of a perfect technology experience looks like. 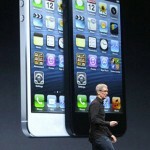 Then its designers would have to doggedly pursue that, no matter what competitors like Apple and Microsoft were doing. That would be a fundamental shift in strategy, and one Samsung has shown little interest in making. Until recently, this wasn’t such a big deal. Samsung has built its name over the past two decades on being the world’s greatest Fast Follower. It did it through excellent product quality, attention to detail, technical superiority, and outstanding supply chain efficiency — attributes that have become so commonplace now that they’re practically commodities. Chinese manufacturers are approaching Samsung levels of sophistication at even lower cost, and better communication is raising global consumer expectations to a high plateau. Now we can add to these challenges a legal precedent that makes it even more difficult to build success out of high-quality imitation. In the near term, Samsung is going to be fine. 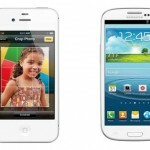 Its newest entry in the mobile device market, the Galaxy S III, is unaffected by the ruling, and is reporting robust sales. In the long term, though, it’s playing a game that’s getting harder and harder to win. The real impact of the Apple verdict is to make it clear to the whole world what forward-looking innovators have known for some time: that following is no longer the safest bet in consumer goods.